Bogged down systems running multiple practice management software sessions. Hours of time wasted running reports. Let’s face it. The dental industry is tired of inefficiency. But, that’s exactly what many dental practices face with today’s practice management software options. However, recently there’s been a trend toward cloud-based options that can enable more connectivity, productivity and satisfaction for dental teams. One of those cloud-based options is Fuse. Fuse was developed by listening to hundreds of dentists, hygienists and office managers from across the country, identifying obstacles and pain points in their daily routines and creating a cloud-based practice management software that directly addresses those needs. 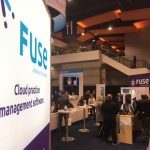 While the early buzz on Fuse has been fantastic, we know many dental professionals have questions about cloud-based practice management software, and how Fuse, specifically, can help them optimize their dental practice or practices. Fuse “Smart Screens” will allow your teams to view, filter, and act on real-time patient information and practice data in ways that they’ve never been able to before. In fact, they should help you virtually eliminate many of the traditional reports you run today. These Smart Screens also allow for easy-to-read dashboards that offer up real-time information on everything from receivables to production numbers to hygiene retention. One of the big issues we heard when we were talking to dentists in the research phase was how much time it takes to run reports and cross-reference information before making informed decisions. The Fuse dashboards and smart screens take a lot of those headaches away. In our research with dentists, we heard loud-and-clear that you wanted a practice management solution that looks and feels like a modern software tool. We built Fuse to resemble leading social media tools, like Facebook, and other popular technology. What’s more, the intuitive Fuse interface allows you to view all of your patient’s clinical data on a simple, clean, visually engaging timeline. So you can view clinical notes, treatment plans, images and more with just a few simple clicks. Imagine referencing perio readings, images to past referrals and notes from specialists without having to access multiple tools or platforms! Yep, Fuse is that easy. Imagine, for a moment, your entire team accessing all of your reporting, scheduling, and patient data from a single log in. Fuse can do that. Multiple practice locations? No problem. With Fuse you can toggle between locations without ever needing to log out. And, since it’s cloud-based, you can access Fuse from wherever you are–at the office, at home, even at your vacation home in Florida! Fuse is built to be compatible across a wide range of devices and operating systems. These are questions we’ve heard a lot so far. But, with three different options for support, help is never far away. First, we offer in-person support through our highly-trained local Technology Advisors. We can also provide remote support thanks to our new Patterson Technology Center and the Fuse specialists dedicated to helping you use Fuse more effectively. Finally, the WalkMe tool, which is embedded right in Fuse software, provides a virtual helping hand at every step along your Fuse journey. WalkMe acts as a guide for everyone from brand-new users to seasoned veterans. It’s a step-by-step interactive experience that allows you to learn key functionality while actually completing tasks. As you gain proficiency, WalkMe reinforces best practices and reminds you of the best path to complete your work. And, it’s already getting rave reviews from dentists, hygienists and dental students, like Austin and Ryan Dodge. 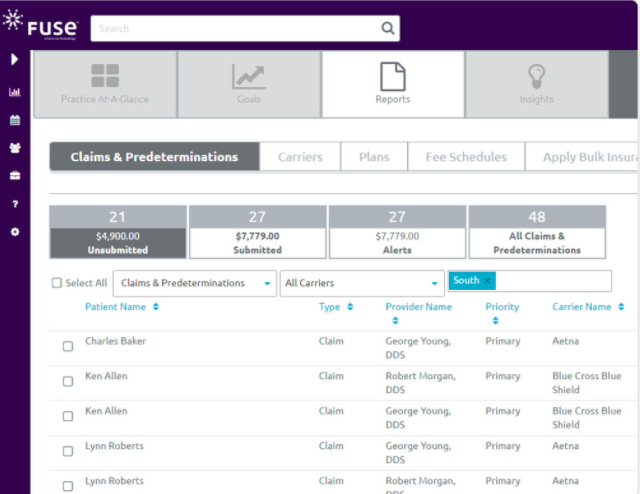 Want to get a peek of how Fuse can help you optimize your dental practice or practices? Sign up for a demo and learn more today! Still wondering what this means for the future of Eaglesoft. Hi Timothy! Sorry if you missed it, we replied to your question on the “2018 Chicago Midwinter Highlights” blog post. Fuse wasn’t created to be a replacement for Eaglesoft, which is still a great solution for practices looking for on-premise software. We intend to continue supporting Eaglesoft and investing in its development into the foreseeable future! Good to hear but I can’t see how Patterson is going to continue to support 2 software programs for any considerable amount of time. Curious as to how longtime Eaglesoft customers will be treated when it comes time to transition.